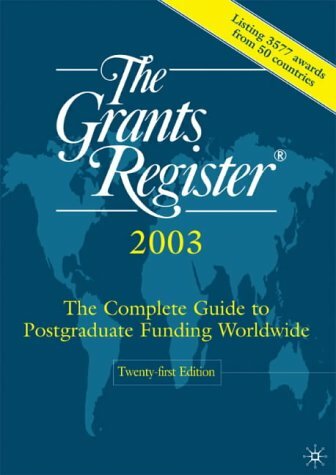 The Grants Register 2003 is the most authoritative and comprehensive guide available to postgraduate grants and professional funding worldwide. For over twenty years The Grants Register has been the leading source for up to date information on the availability of, and eligibility for, postgraduate and professional awards. With details of over 3,500 awards, The Grants Register is more extensive than any comparable publication. Each entry has been verified by the awarding bodies concerned ensuring that every piece of information is accurate. As an annual publication, each edition also provides the most current details available today.